Ask two Jewish individuals to define Jewish humour, and you will probably get three definitions. If not more. So what can we say about the humour of the Jewish people? First and foremost, Jewish humour snickers in the face of authority. This tendency dates back to the first recorded laughter in the scriptural tradition: in Genesis 18:12, when the mother of the Jewish people, Sarah, laughs at the notion, delivered by divine messenger, that she will conceive a child in her dotage. Sarah’s laughter is, in effect, a minor rebellion against God. And so, the subversive tradition of Jewish humour began. Thousands of years later, in the 19th and especially 20th centuries, Jewish humour perpetuated this trend by tittering across all sacred boundaries – inside the faith, and outside. Practitioners of such transgressive Jewish humour include Franz Kafka, whose darkly comic stories ridicule the all-powerful bureaucracies of the modern state; more recently, Jon Stewart, a television show host, spends his time cutting up most the American religious and political landscape. But there is a more indefinable quality to Jewish humour. The Jewish faith has a unique view on its own theology and the way it shapes the lives of all Jewish people. As befits a community to which religion was so important, much humour centres on the relationship of Judaism to the individual and the community. Judaism has managed, like no other monotheism, to achieve a certain kind of relativism – a state in which one is not afraid to parody the faith, its culture and community – whether one is a staunch believer or not. Two Rabbis argued late into the night about the existence of God, and, using strong arguments from the scriptures, ended up indisputably disproving His existence. The next day, one Rabbi was surprised to see the other walking into the Shul for morning services. “I thought we had agreed there was no God,” he said. “Yes, what does that have to do with it?” replied the other. The vast differences in the Jewish faith are also a cause for some relativistic humour on behalf of the Jewish people. At an Orthodox Jewish wedding, the bride’s mother is pregnant. At a Conservative wedding, the bride is pregnant. At a Reform wedding, the rabbi is pregnant. At a Reconstructionist wedding, the rabbi and her wife are both pregnant. Flotsam; goods floating at sea which have accidentally fallen overboard. Jetsam; goods floating at sea which have intentionally been thrown overboard. Lagan; goods found at the bottom of the sea floor which can be claimed. Derelict;‏ forsaken goods found at the bottom of the sea floor. Listed below are some of the most witty and profound quotes from Oscar Wilde’s celebrated play The Importance Of Being Earnest. 1. The game of throwing missiles at a target; such a throw. 2. An object of criticism or ridicule. In Ancient Roman plays, if a character had to die, actors were replaced by convicted rapists or murderers who were then killed on stage. The word acrobatics is Greek for ‘walking on tiptoe’. An acosmist is one who denies the existence of the universe. 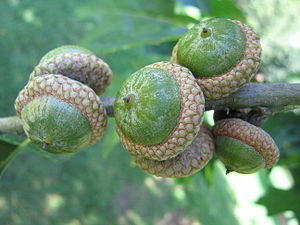 Acorns can be tested to find which ones will grow into oak trees. When put into water, the good ones will sink. The acnestis is any part of the back that’s impossible to scratch. Epistemology is the study of knowledge and justified belief. It is concerned with the nature, sources and limits of knowledge. Epistemology has been primarily concerned with propositional knowledge, that is, knowledge that such-and-such is true, rather than other forms of knowledge, for example, knowledge how to such-and-such. There is a vast array of views about propositional knowledge (knowledge which requires no actual experience), but one virtually universal presupposition is that knowledge is true belief, but not mere true belief. For example, lucky guesses or true beliefs resulting from wishful thinking are not knowledge. Thus, a central question in epistemology is: what must be added to true beliefs to convert them into knowledge? Empiricism: knowledge is obtained through experience. Rationalism: knowledge can be acquired through the use of reason. Besides the fact that in normal discourse a herring is a fish, in logic and literature, a red herring is a fallacy of relevance – a clue or piece of information that is (intended to be) misleading, and diverts attention from a question or piece of relevant evidence. A red herring is the author’s way of sending his audience on a wild goose chase. Consider detective novelist Agatha Christie, inventor of Miss Marple and Hercule Poirot. Difficult clues and red herrings were her most powerful devices for misleading and confusing the reader. The key to solving a complex Christie-style murder plot is to determine what is a real red herring and gather enough clues.